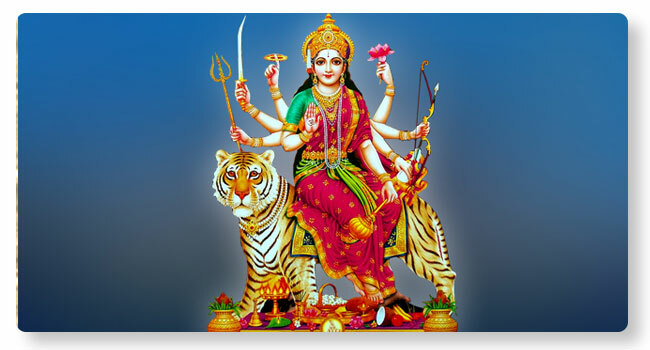 Durga Namaskara is a puja procedure popular in Shakteya principle. It is a procedure of invoking Sri Durga, the Avatar(incarnation) of Kali, Lakshmi and Saraswati in a lamp. A Padmam (Rangoli) is prepared on the floor and Deepam with either three wicks or five wicks is lit in the center. Procedure is usually preceded by Japa as specified by astrologers and may include Matruka Nyasam.